Kids will appreciate attractions like Sea World Theme Park and Lone Pine Koala Sanctuary. 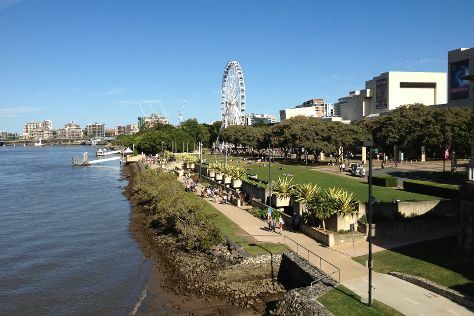 Venture out of the city with trips to Brisbane (South Bank Parklands & City Botanic Gardens). There's lots more to do: find something for the whole family at Warner Bros. Movie World, get outside with Pelican Feeding, kick back and relax at Surfers Paradise Beach, and make a splash at Dreamworld. To find reviews, traveler tips, where to stay, and more tourist information, refer to the Gold Coast itinerary builder app . If you are flying in from Singapore, the closest major airports are Brisbane International Airport and Gold Coast Airport. In May in Gold Coast, expect temperatures between 27°C during the day and 15°C at night. Cap off your sightseeing on the 29th (Wed) early enough to travel back home.